You'll be £12.99 closer to your next £10.00 credit when you purchase Foul Deeds and Suspicious Deaths in Norfolk. What's this? 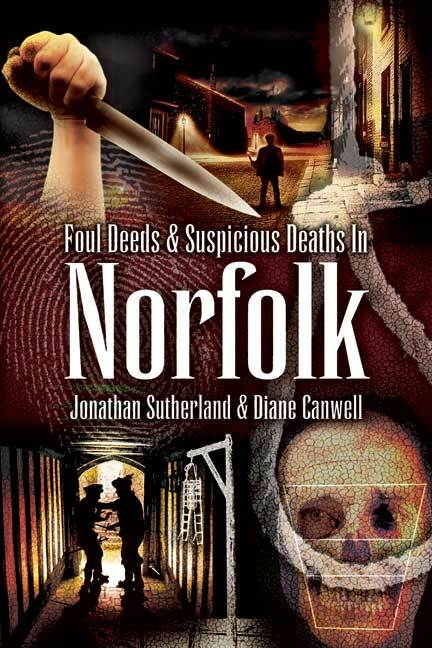 For Norfolk Murders Jonathan Sutherland and Diane Canwell have selected over 30 notorious murder cases from the twentieth century. From crimes of passion to opportunistic killings and coldly premeditated acts of murder, the full spectrum of criminality is recounted, bringing to life the sinister history of Norfolk over the last hundred years. The human dramas that are recorded here are often played out in the most commonplace of circumstances, but others are so odd as to be stranger than fiction. Tormented husbands and wives, brutal thieves, jealous lovers, irrational and casual killers and ruthless, calculating murderers are represented here. This chilling chronicle of Norfolk's hidden history will be compelling reading for anyone who is interested in the dark side of human nature.